There are summits to conquer, surf breaks to master and slopes to tame. And, nüüd keeps you connected and protected each muddy, waterlogged, snowy step of the way. Apple pushed the technological limits with their plus-sized iPhone 6 Plus. We pushed even further by making it waterproof and shockproof. Take it on the wildest adventures without worry. With nüüd’s screenless technology, nothing stands between you and that 5.5” Retina display. Tight seals lock out the elements on this iPhone 6 Plus waterproof case, so you can be in the fray and still touch your display. 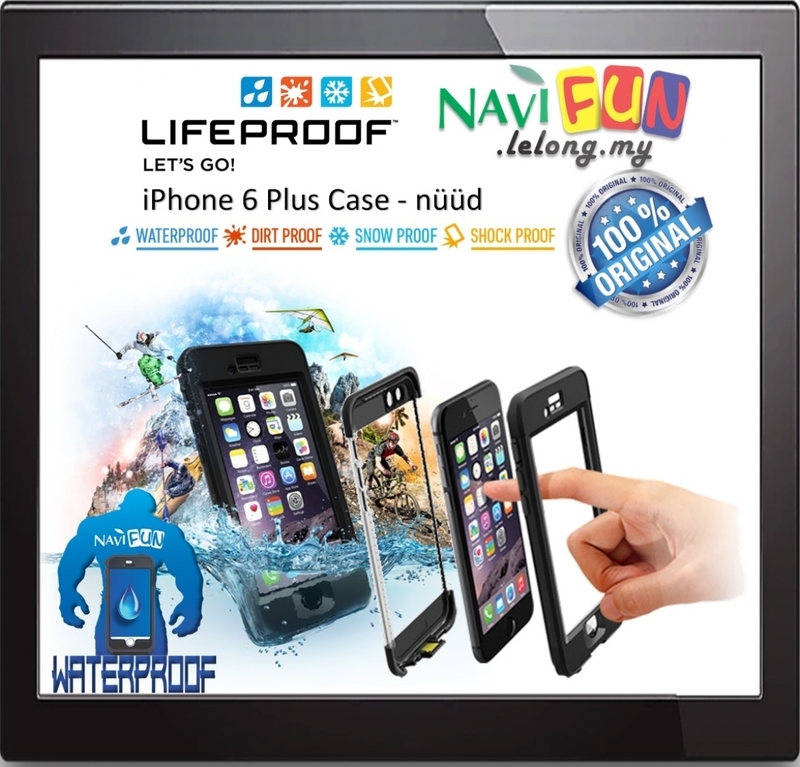 Made to the absolute minimal size, LifeProof nüüd iPhone 6 Plus case keeps your phone fitting comfortable in your hand. And, the custom design leaves all of iPhone’s features fully functional, from Touch ID to volume control. Capture the sights. Blast the sounds. Taking victory pics are all part of the adventure. So, this iPhone 6 Plus case from LifeProof uses an anti-reflective optical glass lens for distortion-free photography. And, its Sound Enhancement System lets you bump your beats at full volume. LifeProof helps your device survive this most common cause of damage.